NHL regulation time betting has recently become a very popular option for hockey bettors, especially for anyone looking to get better odds on a favourite or not wanting to have their bet settled in overtime or a shootout. In case you aren’t familiar with NHL regulation time betting, it’s when you bet on what happens in the first 3 periods of the game only. What happens in OT or a shootout is irrelevant. On the 2-way Moneyline, you can either take the visiting team to win or the home team to win. If the score is tied at the end of regulation time, your bet will push (cancelled) and your money will be refunded. When betting the 3-way Moneyline, in addition to the visiting team to win or home team to win, you can also choose Draw (tie). If the score is tied at the end of regulation time, the game will be graded as a Draw. Any bets on the visiting team or home team will lose. For puck line betting, the favourite is assessed a -0.5 handicap and the underdog will get a +0.5 handicap. If the game is tied at the end of regulation time, the underdog will have covered the spread because +0.5 is added to their score – similar to point spreads in basketball or football. Sportsbooks generally do not offer Over/Under (where you bet on the number of goals scored) in regulation time betting. Now that we’ve quickly gone over your options when doing regulation time betting in hockey, here are 3 key things you need to know about NHL regulation time betting. 1. NHL regulation time betting can drastically affect your payout. Regulation time betting odds will be fairly similar to the full-game odds. However, the bigger the favourite is on the full-game odds, the bigger the difference will be on the regulation time odds. That’s because a big favourite is a bit less likely to win a game that goes to OT or a shootout (which are both generally considered 50/50 propositions) than it is to win a game that is decided in the first 60 minutes. Payouts for both the favourite and underdog will be quite a bit higher than the full-time odds because of the possibility both will lose if the game is tied after regulation (Draw). The underdog odds will increase much more than the favourite because of the increased unlikelihood that the underdog wins in regulation. The favourite’s payout will be quite a bit higher because of the requirement of winning in regulation time, similar to the three way moneyline bet. However, payout on an underdog will decrease significantly because the underdog has 2 ways to cover the +0.5 puck line: winning the game in regulation OR being tied after regulation (similar to double chance in soccer). 2. NHL regulation time betting can drastically affect your chances of winning. It might not sound like that big of a difference, but taking a team to win in regulation time severely decreases your chances of winning your bet. Over a 5-year span from the start of the 2011-12 season to the end of the 2015-16 campaign, there was a total of 4,290 regular-season games played in the NHL. Of those 4,290 games, 1,350 of them were decided in OT or a shootout. That’s a whopping 23.9% of games that were tied after regulation time – which would cause you to lose your 3 way money line bet (unless you took the draw, of course) and if you took the favourite -0.5 on the puck line. So what are fair odds on a regulation time bet? Obviously, the odds will vary on every game so there’s no hard and fast way to tell whether you’re getting fair value on your regulation time bet. But here’s a little math you can use as a rule of thumb in a 3 way moneyline or a regulation puck line bet. In a game between 2 evenly-matched teams, the true odds on each team should be +100 (even money). In a game between 2 evenly-matched teams, there’s approximately 24% probability that the game will go to OT. That means that for every 100 times you placed a bet in this situation on a team to win in regulation, you’d lose 24 of them. That leaves 76 times out of 100 that either Team A or Team B wins in regulation time. If the teams are evenly matched, they’ve each got a 50/50 shot at winning those 76 games. So over time, Team A wins the game in regulation 38 times out of 100, and Team B wins the game in regulation 38 times out of 100. If Team A has a 38% chance of winning, Team B has a 38% chance of winning, and the Draw has a 24% chance of winning, that means that fair odds on Team A should be +163, fair odds on Team B should be +163 and fair odds on the Draw should be +317. As you can see from the above scenario, if there’s a team that has a 50% chance to win the game and you take them in regulation time, you should get an extra 60 cents or more on the moneyline to reflect the increased improbability of winning your wager. In this real-life example from Pinnacle.com, you can see how the odds for a full-game win and a regulation time differ by approximately 60 cents. The Wild pays -128 on the full-game line and +131 on the -0.5 regulation puck line, which is a difference of 59 cents (28 + 31). Conversely, the Oilers are +116 on the full-game line and -145 on the +0.5 regulation puck line, a difference of 61 cents (16 +45). If your sportsbook isn’t offering you approximately 60 cents better odds for taking a team to win in regulation time instead of the full game, you probably aren’t getting the value that you should. And if you’re taking an underdog +0.5 in regulation time (giving yourself a chance to win on the Draw as well as the underdog win in regulation), make sure you aren’t paying much more than 60 cents on the odds for your increased probability of winning. 3. You have other options. If you’re looking to either improve your payout or your chances of winning a bet, you don’t necessarily have to use NHL regulation time betting. With the +1.5-/1.5 puck line, you either lay -1.5 goals with the favourite or take +1.5 goals with the underdog. 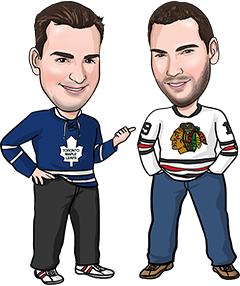 The favourite will now need to win the game by 2 goals or more, which happens much more rarely in the NHL these days, but you can get rewarded with a huge payout if you win (often +200 or higher). If you take +1.5 goals with the underdog, you’ve dramatically increased your chances of winning but you’ll need to be prepared to lay -200 or higher in juice. The +1/-1 Puck line is a safer way to play the puck line if you like the favourite, since your -1 puck line bet will push instead of lose if the favourite wins by 1 goal. You’ll still need the favourite to win by 2 or more goals to win your bet, and the payout won’t be nearly as high. The +1 puck line on an underdog will allow you to push if they lose by 1 goal, but you’ll need the underdog to win the game straight up to cash your ticket. You can find the -1 puck line at Pinnacle and 5Dimes, or you can create your own by splitting your bet between the moneyline and the -1.5/+1.5 puck line. With team totals betting, if you like the favourite, you can take them to go Over their team total (generally 2.5 goals) or take their opponent Under their team total. Conversely, if you think the underdog will put up a good fight in tonight’s game, you can take them Over their team total or their opponent Under their team total. FYI, team totals include OT and shootout goals.